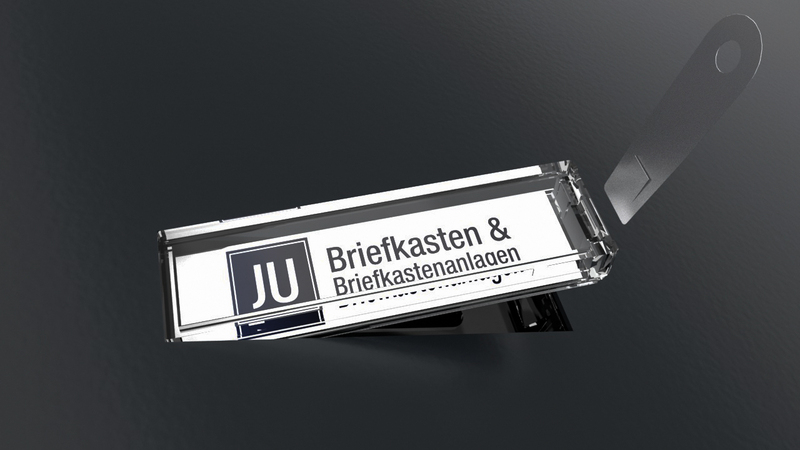 Mailboxes and mailbox systems of the JU brand have been manufactured for over fifty years. Due to the decade-long experience and state-of-the-art production facilities, the high quality standard of our products is guaranteed. 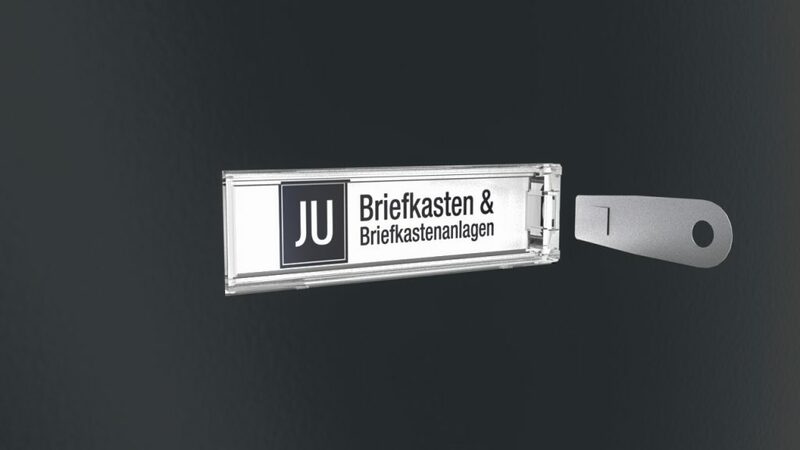 If marked with DIN, JU mailboxes and mailbox systems correspond to the standard DIN EN 13724. 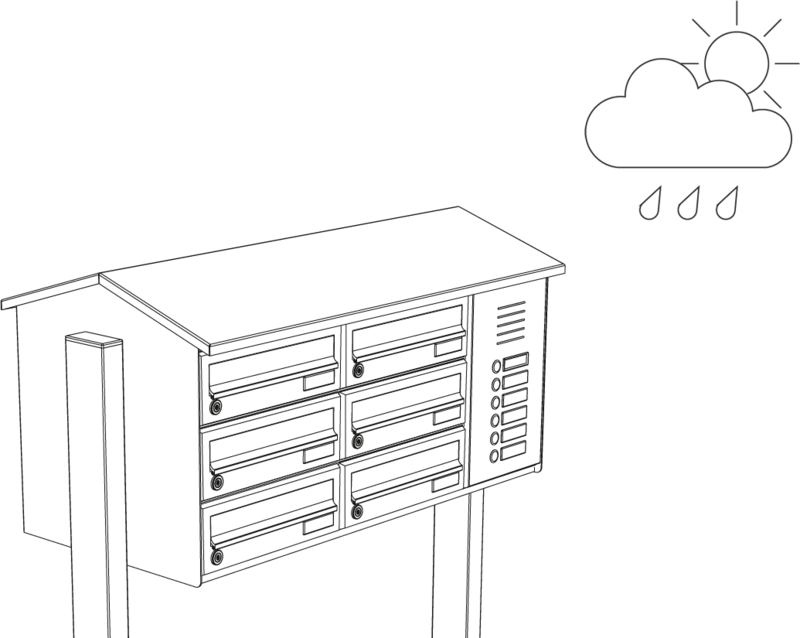 Choose or plan a weather-proof location for the installation of a mailbox system. Avoid pointing the mail slots or removal doors towards the windward side. Technically caused gap dimensions and production tolerances can lead to the ingress of moisture in extreme weather conditions (storm, rainstorms, continuous rain, thaw). 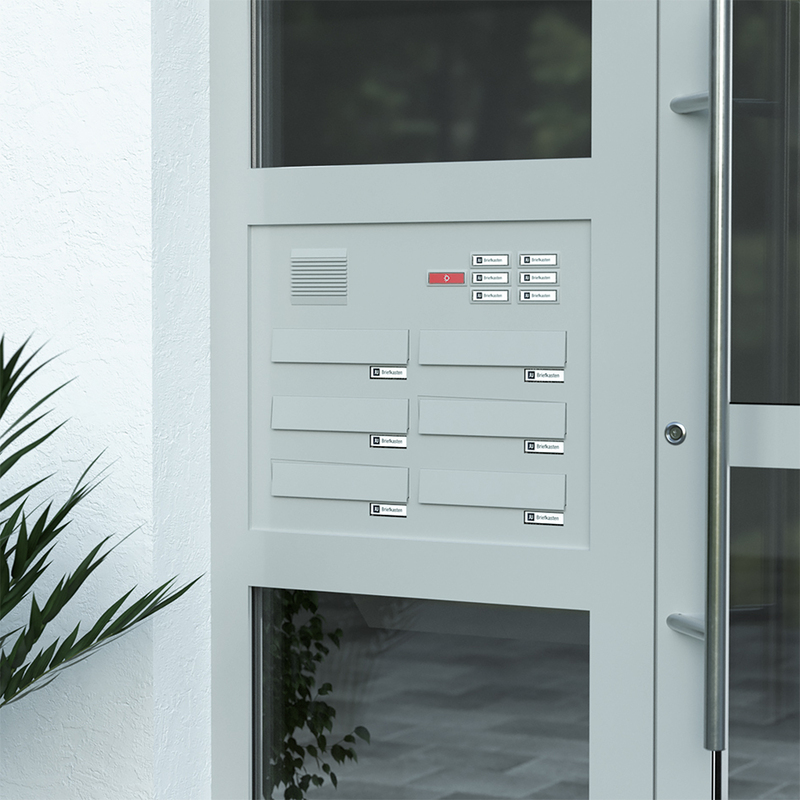 It is good practice to mount a mailbox with a close-fitting aluminum panel (JU model 22-242) in a weather-proof location (for example, a roofed entrance area, a canopy or an interior area). Mailbox systems should always be fitted with a rain deflector, which draws a large part of the spray water in advance. Retrofitting is possible in many cases. Electrical connections must only be installed by trained personnel, because legal safety provisions must be observed. Please also refer to the wiring diagrams and notes enclosed. Touch protection is required by law. It is good practice to construct a concrete foundation of 300 x 300 x 500 mm per foot to ensure secure base for freestanding mailboxes. In production, we take into account a 400 mm floor level. 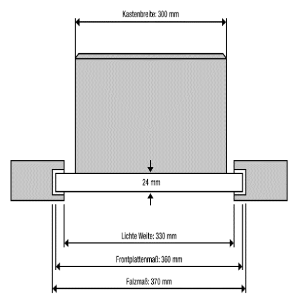 In the event of freestanding mailbox systems with base plates, adequately dimensioned screws should be selected (heavy-duty anchor according to DIN). Delivered mail must be stored in a mailbox in such a way that the mail slot flap is completely closed. Protruding mail allows for ingress of dirt and moisture. Therefore, make sure that you carefully plan your mail size requirements. For extreme cases, we offer jumbo mailboxes, which can safely hold almost any bulky mail without leaving the flap open. In the case of wall-mounted mailbox systems, the chosen fasteners should correspond to a minimum weight load of approx. 4.5 kg per single unit box. 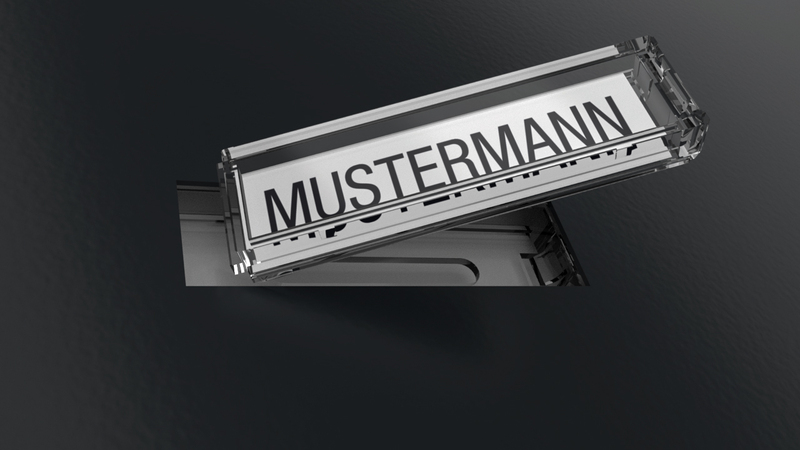 Flush-mounted mailbox systems are to be fastened in a masonry recess using appropriate screws as well as mounting foam. The plaster frame located on the system is used as a screen. Visible, anodised aluminum surfaces must be protected from lime, cement and gypsum! 1. 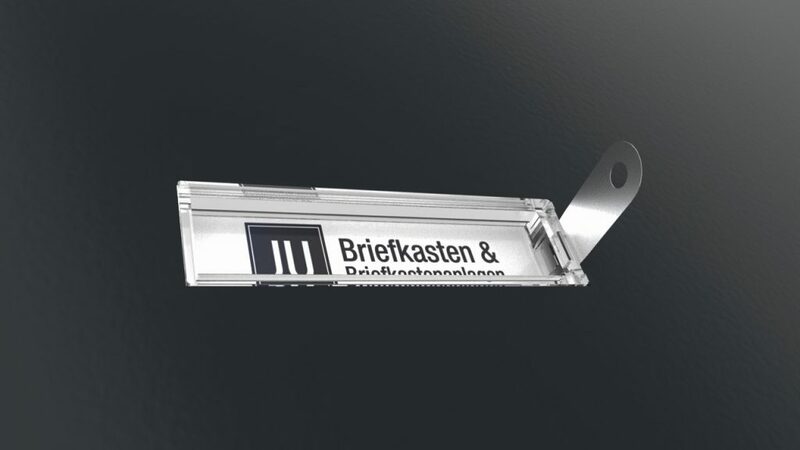 In order to change the name plate, the enclosed key must be inserted into on the right side of the name plate with a little pressure. After snapping, the top part of the name plate will come out together with the key. 3. 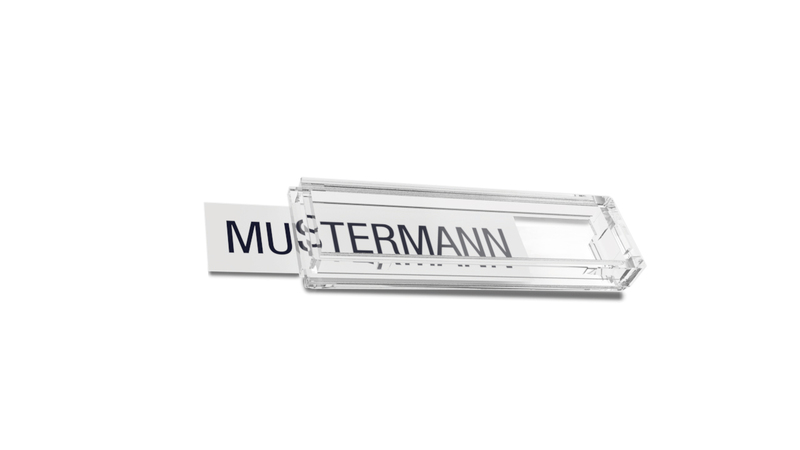 For installation, attache the name plate to the left side of the slot and press down the right side until it clicks into place. 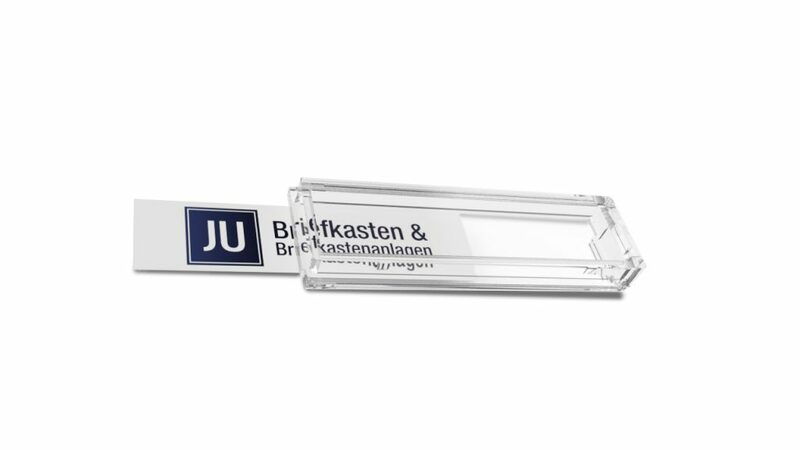 JU mailbox systems for the door side panel are built so as to be easy to assemble. In the case of almost all horizontal models with an insulated front, the box pad can be removed to make it easier for you to assemble. To do this, simply loosen the fasteners of the angle bracket below the front plate. Push the box pad upwards, so that the retainers slide out of the box pad. That way, you should be able to mount the front plate separately from the box pad into the door side panel without any problem. By doing that, the wiring of the talk/bell case is thereby greatly simplified and you can adjust and fasten the front plate easily because it does not weigh much without the box pad. After that, you can mount the box pad again onto the slots in the front plate and fasten the angle bracket once more to the underside of the front plate. 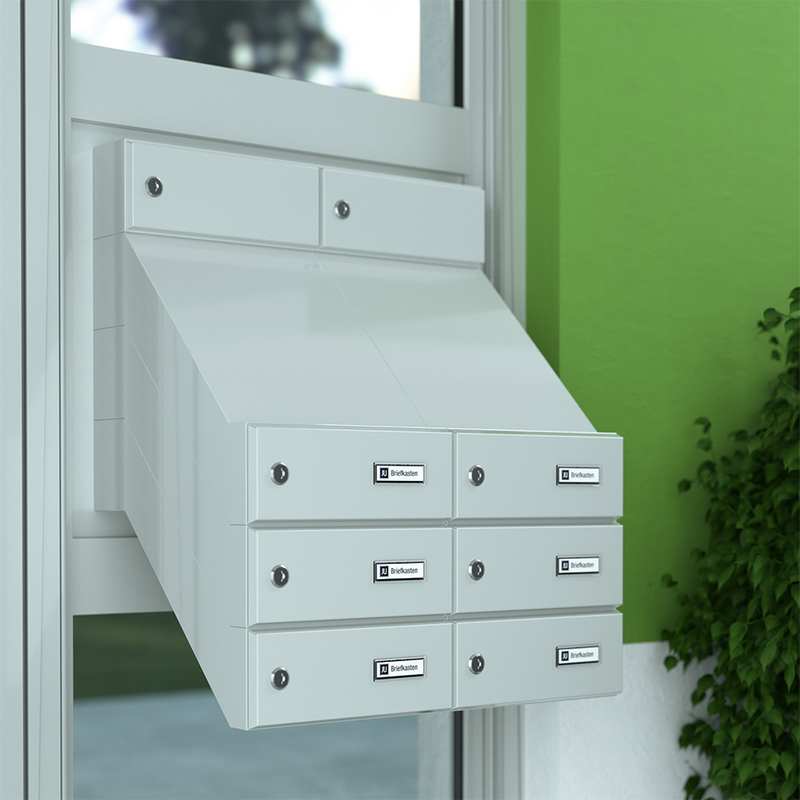 JU mailbox systems offer complete protection from rain and wind. When planning, however, make sure that the flap area of a mailbox system is not facing the windward side. Optimum results can be achieved if freestanding installations are installed or roofed in weather-proof locations.